As communicated earlier, we will manufacture 50 more brass Big Boys in 2014. The base price for the Big Boys will remain unchanged from the first release. To set this run apart we will produce seven new roadnumbers. We will also offer the 4014 again, this time with an oil tender to salute the restoration of the 4014. To complement the Big Boy, AZL will also offer a special brass item. More on this later. 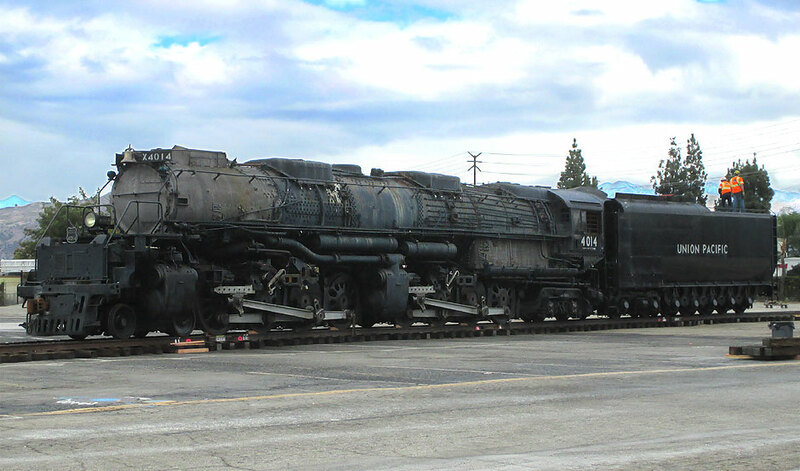 On November 22, 2013 I visited the LA Fairgrounds and witnessed the moving of the 4014. Basically the Big Boy has been moved on makeshift tracks all across the Fairgrounds and the locomotive is now next to the Metrolink main line. What I heard on site is that the 4014 will depart early December to Ups facilities at West Colton. 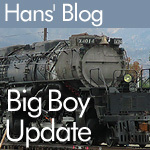 When ready the Big Boy will be towed to Cheyenne via Las Vegas and Ogden. Enjoy the latest photos! Sincerely, Hans. 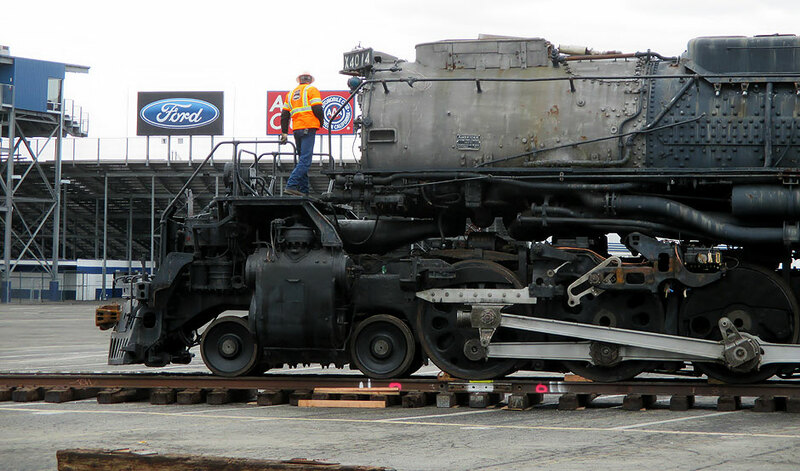 Today May 8th, 2014 the 4014 came home to Cheyenne, Wyoming by rail! 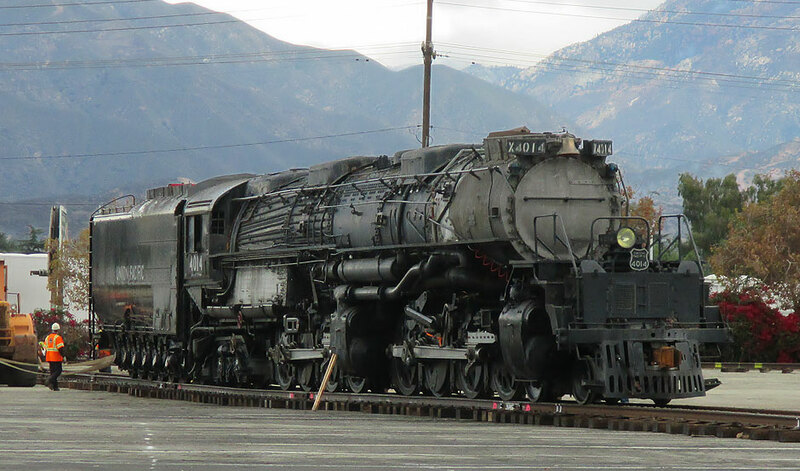 What is next: a 3 to 5 year restoration by Union Pacifics Cheyenne Depot.